Our Favorite Fuel Additives and Octane Boosters that could propel your car to the moon! Royal Purple is regarded as a leading brand in the octane booster market. 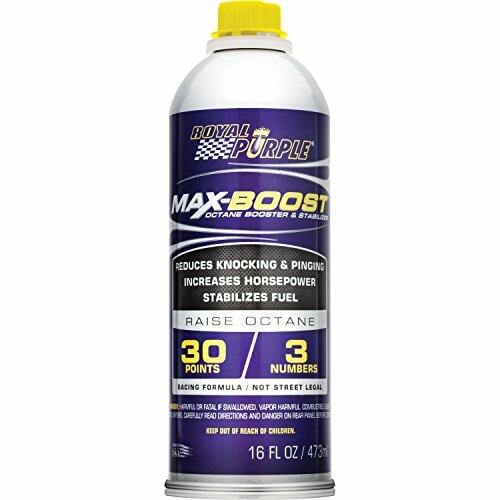 We have a couple friends that push their car to the limit with a turbo-charger and they swear by Max-Boost. So if you are looking for a solid additive, we’d suggest the Royal Purple as the best octane booster for turbo cars. There’s no question that Royal Purple’s product will help your vehicle perform better. If you can afford this product, you’ll love the results. Can boost up to 10(!) octane levels! Comes in large gallon container and saves money! This booster is sold by the gallon which is terrific when you start a process of finding out how much booster is necessary to create your desired effect. Though each booster you find on the shelf claims a certain effect, your vehicle is unique. Only through trial and error will you gauge what exactly works for you. Buying this booster in large quantities means you have enough stock to do various comparisons. 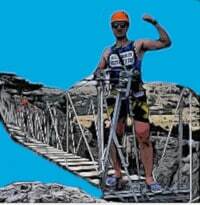 You need to find the correct balance between cost and effect. Remember that boosters can’t perform miracles. By adding booster your vehicle won’t miraculously attain super high octane levels. There’s a limit to what this or any booster can do and you won’t push past it by increasing the percentage of booster. You’ll only waste booster liquid and your money. There are a few reasons why this booster may be your answer. Let’s discuss them. This is sold in larger quantities than most boosters. The price is quite high, but you get more liquid in comparison. You need to ensure you actually require such large amounts of booster, otherwise you’ll be left with half-used containers and unnecessary expenses. Klotz offers drivers an excellent booster to benefit many parts of their engines. The large quantity needs to be considered so you know you don’t waste your budget simply because it looks like a bargain. Do you need this much booster? If you’re a regular user, this won’t be a problem and you’ll love having enough stock in your garage. 104+ has a history dating back to 1975 (it’s real old!!!! ), so this is a company that has years of experience. The products this brand produces have been refined so drivers can get the utmost out of their vehicles. You’ll love everything from the bottle design, to what the content does for your driving pleasure. Let’s have a look at the details. The content not only prevents knock effects, but also cleans the fuel injectors of your vehicle. You’ll get more miles out of every gallon of fuel if this is added to your tank. You’ll experience a rise in octane, but not as excessive as some more expensive products. It can’t be definitively claimed that this product will have a certain octane increase as result of usage. Overall this booster has many positive effects on your engine and you’ll love the heightened performance. If you’re chasing a certain high mark of octane, you may not reach it with this product, so you need to weigh your expectations against the capabilities before purchase. Remember that you need to test whether this has the effect the company claims. Your vehicle’s unique setup and condition does play a role in a booster’s effect. The company opts to sell this in packs of 12 (or if you search around, you can find single bottles). This means you’ll have stock of this for a while, whether it works or not. Are you ready for such a commitment? Let’s look at the facts to help you decide. It’s sold in packs of 12. This is a benefit when you know it’s your desired booster, but not if you’re still figuring out your preferences. You’ll love the effect this brand has on your racing performance. Through easy application and excellent ingredients, Lucas Oil’s octane booster will give you most of what you’re looking for in a booster. As a vehicle owner you probably know that many factors play a role in how many miles you get from each gallon of petrol/gasoline. There’s one thing you can do to improve your vehicle’s performance and consumption overnight. Octane boosters were developed to help you get the best mileage and performance from your fuel. But Vince! How do they work? Sit down my friends, we’re gonna do some learning! ? Octane boosters are measured using a point level. The formula is: 1 octane fuel level per 10 points. Don’t lose me here, this is easy math.? So when you see a product that gives 100 points of boost, that means it will raise your gasoline octane level by 10. So if you purchase that terrible, watered down, low cost 87 unleaded regular gasoline in your car, and then add some Klotz, your octane just got bumped up 100 points, or roughly to a 97 Octane… Which is pretty close to full race fuel that is very expensive! So when you are shopping for an octane booster, you want one that has a high points rating. This rating tells you how much compression fuel can handle before detonation takes place. The higher the rating, the more pressure the fuel can take. 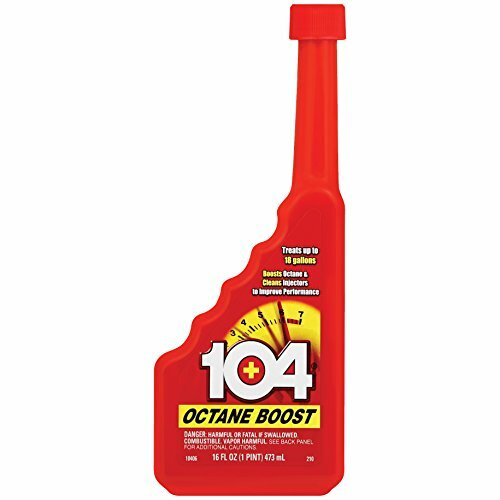 Octane boosters help to raise octane ratings; this is done through the anti-knock additives. These additives prevent a knock-on effect so fuel doesn’t ignite too quickly. In this way, high performance vehicles can generate a lot of power and high temperatures, without burning unnecessary fuel. Question: Vince, why not just fill up my car with 93 octane at the pump? Answer: That’s a great question, curious reader! You see, most of our friends in more liberal states like Cali have a hard time even FINDING 93 octane fuel. Most of their gasoline is loaded up with ethonal and only rated 85. For some reason it’s actually praised to run a super low-grade fuel like 85. So with a little magic octane supplement, you can boost that level up to 93 for a couple bucks! 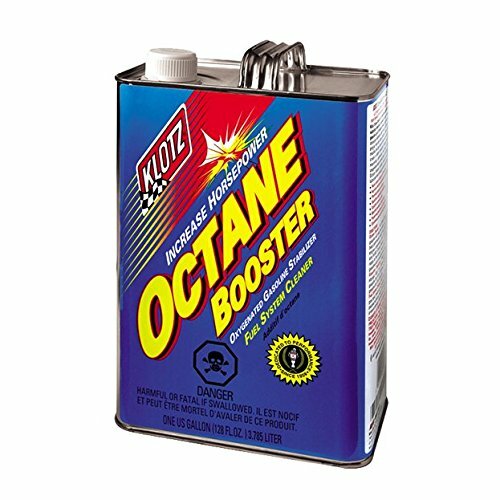 Octane boosters are usually used by race drivers, but can benefit anyone looking for better performance in their car (or pickup). As mentioned, boosters are added to the fuel. You need to repeat the process regularly since the booster is used up with the fuel. Adding gasohol supplements might get expensive, so it’s not common for every vehicle owner to use this. Still, if you want to have some fun and get a better performance with lower fuel usage out of your car, you should try it at least once. Octane boosters don’t change your car; it simply catalyzes a process. As soon as the liquid is used up, you’ll need to purchase more. If you want to use boosters for the long term, you need to choose a product you can afford over that period of time. Each brand will raise your fuel’s octane rating by a certain degree. If you want your vehicle to reach a very high performance goal, you need to purchase one which offers this. This will most likely translate into a high cost. Consider how much fuel can be treated with the bottle you purchase. The packaging will stipulate how many gallons can be treated. Calculate the value of the brand by considering capacity in conjunction with cost. There are different ways to obtain the desired octane boosting effect. Quite a few chemicals can have the same result, but unique effects accompany each one. Avail yourself of this information before you use the booster, as it can affect you or your vehicle. This chemical is much more affordable than MMT. Unfortunately, it’s not beneficial to engines as it causes sparkplugs to misfire through buildup. Boosters that contain this need to be used in high doses. These chemicals can easily be absorbed by humans, even through the skin. Extreme precautions are necessary, such as wearing a mask when pouring it into the tank. Ethanol has boosting potential, but quite a few side effects. While all these items will give you excellent results, the ease of use and the savings you get by purchasing 12 bottles at once, make Lucas Oil the brand to trust.